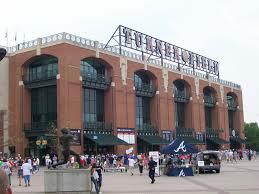 A quick post on the relocation of the Braves. 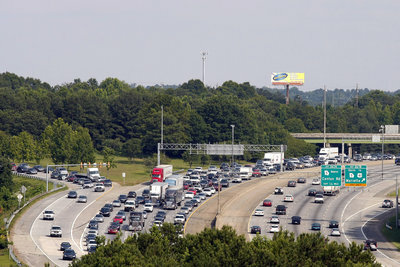 The Braves’ move to Cobb County should be seen as the capstone of urban planning problems in the Atlanta metro region. The team will move from a location with multiple, but highly limited transportation options to a location with one transportation option. The location of Turner Field has always been a problem; it isn’t located within easy walking distance of any MARTA station. And on top of that, most of the Braves’ season ticket holders aren’t located within a short driving distance of any MARTA location. So even if a MARTA station suddenly appeared in the neighborhood of Turner Field, its patrons wouldn’t have easy access to the system to take advantage of a station close to the ballpark. The current situation makes MARTA inaccessible to those that want to walk from the station to the field, but it at least allows a short shuttle service to be highly feasible. The new location in Cobb County not only precludes walking from a station, but also precludes any sort of a shuttle service. Yes, the new location will be located closer to season ticket holders, but those people will have to get in cars and drive on roads that are already overburdened. The AJC and this site have already noted that our roads are maxed-out: there is no room to widen them. We have to start adopting alternative transportation modes. Unfortunately (at least for those in the northern suburbs), the Cobb County GOP chairman recently said that the new baseball field should focus on bringing in cars from the suburbs and not rail from the city. This is such an irresponsible statement that it seems like an April Fools’ joke. So the new stadium will be located in an area already clogged with traffic and local officials are precluding any thought of alternative transportation choices. If you are a driver in the northern suburbs you should be upset; refusing to adopt any other type of transportation option ensures that you will suffer more traffic. We already know that more and more people want alternative modes of transportation, so even if you are a driver that has no interest in public transportation, adopting alternative modes of transportation will reduce the number of vehicles on the road and ultimately benefit your travel. Ultimately the problem is the inadequacy of MARTA. The best possible option for the Braves is a location that is accessible to many types of transportation choices, but unfortunately we have few locations accessible by both car and MARTA. That is partially due to state funding and partially due to local jurisdictions that previously rejected subway service. We have problems with accessibility and traffic at the current Braves’ location because we built a major attraction in an area that has limited transportation services. Then we failed to extend transportation services to both the attraction and to the people that want to go to that attraction. Unfortunately the Atlanta suburbs, mainly Cobb County, have rejected such MARTA service. This makes our suburbs an anomaly throughout the country. Other suburban areas readily welcome and lobby for subway service because it offers residents another way to commute and ultimately reduces congestion. 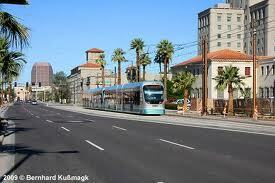 Conservative areas like Phoenix and Virginia Beach are set to create and expand rail service due to unprecedented popularity. Limited subway and rail service in our suburbs means that whether or not a baseball field is located downtown or in Cobb County, the car is really the only mode of transportation. As long as the car is the only mode of transportation, all baseball stadium options will be problematic from a transportation vantage point. The Turner Field site was already a major redevelopment project for the city so it will be interesting to see how the destruction of Turner Field affects redevelopment efforts. Fortunately there is high demand to live in the City of Atlanta, so it shouldn’t take long for this site to be transformed into something productive. Exactly how that happens will certainly be a contentious issue. Are Urban Farms Headed to Athens?